When legendary talent agency William Morris Endeavour (WME-IMG) bought out the UFC in 2016, the $4 billion deal was a clear indication of the sports movement into the mainstream of entertainment. With a client list that spans some of the biggest names in Hollywood and music, it is accurate to describe WME-IMG as ‘well-connected’. And when, in late 2016, the agency announced a list of 23 new celebrity investors into the UFC, it seemed that they were on a mission to capitalise on those connections for the good of the sport. After initial research was conducted by the Wall Street Journal, it was revealed that there was a list of a whos-who in the entertainment industry that now had part financial ownership of the UFC brand. Most of the names on the list had, in various ways, been connected to the sport or are known to be fans. More than a simple financial investment, this was clearly a calculated effort on the part of WME-IMG to leverage these investors’ public personas as a form of marketing for the rapidly expanding brand. “Our new investors bring an incredible depth of knowledge and experience to help us continue to elevate the brand and capitalize on its entertainment and crossover appeal” explained UFC President Dana White. That ‘crossover appeal’ appears to be crucial to the strategy; who better to subtly champion the UFC brand or partner with its stars than some of the biggest public names in their industries? It’s marketing through the fans. It just so happens that the ‘fans’ in this situation are some of the biggest A-listers available. Names on the list include movie heavyweights and long-time fight fans Sylvester Stallone and Mark Wahlberg. 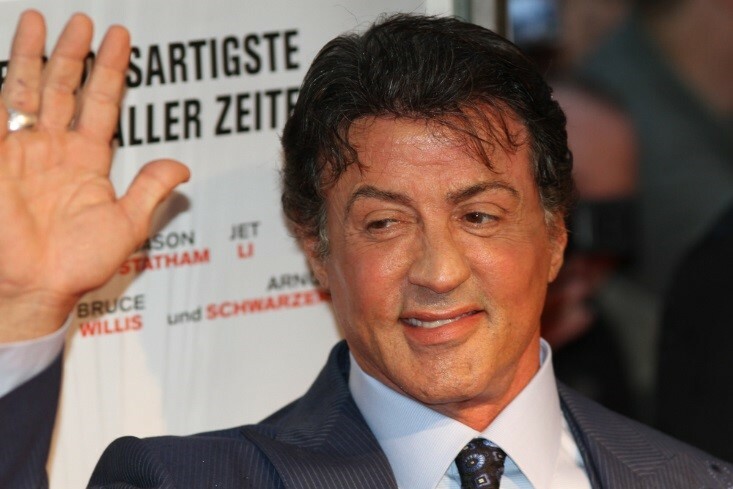 Stallone had actually become embroiled in a very public debate with White back in 2006 about the supposed superiority of boxing, something that the ‘Rocky’ star has seemingly since moved on from. When boxing and the UFC collided in the “Money Fight” between Floyd Mayweather and Conor McGregor, it was Mayweather who reigned supreme, a result unsurprising to anyone who had a bet on the fight with Paddy Power. Wahlberg – already an investor in the Barbados Tridents cricket team – is an avid fight fan and launched his own line of sports nutrition supplements in 2012. Michael Bay, most famous for his work on the ‘Transformers’ franchise, was also announced as an investor. Between the three of these Hollywood mainstays, it’s possible that a UFC-fronted movie may be the ultimate objective of these connections. This would be following in the footsteps of UFC legend Ronda Rousey, who appeared in Stallone’s own ‘Expendables 3’ in 2014. The investments have also come from across the music industry, including from Calvin Harris, Maroon 5’s Adam Levine, LL Cool J and the Red Hot Chili Peppers’ Anthony Kiedis and Flea. LL Cool J’s “Mama Said Knock You Out” had already been used extensively by MMA fighters as walk-out music. The investors have also come from other areas of the world of sport, most prominently with tennis superstar siblings Serena & Venus Williams. The sheer dominance that Serena has shown for years on the tennis court has been likened by some to Rousey’s in the Octagon. NFL stars Tom Brady and Cam Newton also featured on the list. With four Superbowl trophies and two NFL MVP titles, Brady is one of the largest stars from the NFL. Even in the backroom of sports, UFC are intent on making connections. Robert Kraft, stakeholder in Brady’s New England Patriots and owner of the investment firm Kraft Group, was also announced as one of the investors. A huge name in the sports business community, Kraft brings serious connections to the UFC, albeit with less publicity than others on the list. Conan O’Brien, host of the Conan show on TBS, has also taken on a stake in the business and pledged during one opening routine to “fight in the Octagon myself”. Spanning across the worlds of entertainment, sport, and business, these high-profile investors bring a crossover appeal that is sure to boost the market profile of the sport to ever-greater heights. Through their films, talk shows, social media influence and more, it seems the UFC is continuing to leverage the fame of some of its biggest fans. And how did the organisation choose this list of investors? It was simple, declared WME-IMG co-CEO Ari Emanuel. “They would always ask for tickets”.